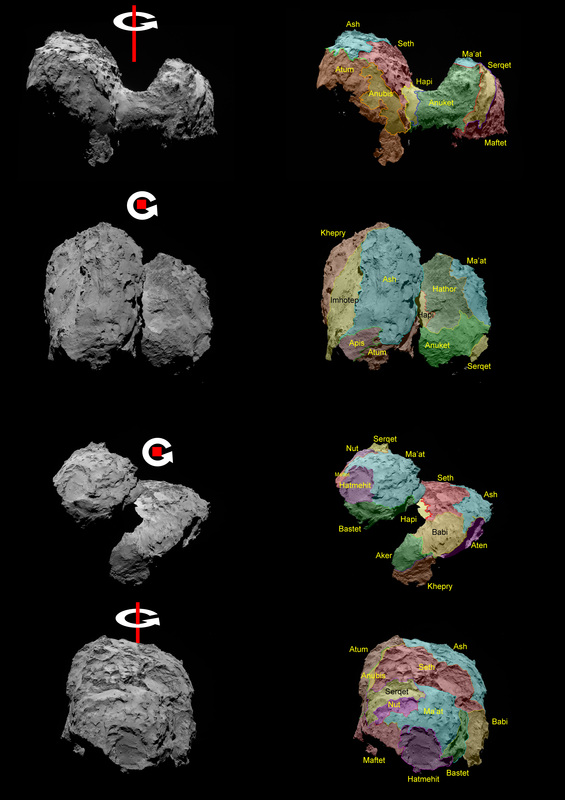 Left: OSIRIS images showing Comet 67P/Churyumov-Gerasimenko in different orientations. Rotation axes have been added; in the middle two panels the rotation axis is almost toward the viewer, that is, providing a north polar view. The top image was taken with the OSIRIS wide-angle camera on 5 September 2014; the subsequent three images were taken with the narrow-angle camera on 16, 5 and 16 August, respectively.